It may be February outside, but I am already setting my sights on spring in DC... which means warm(er) weather and the famous DC cherry blossoms! 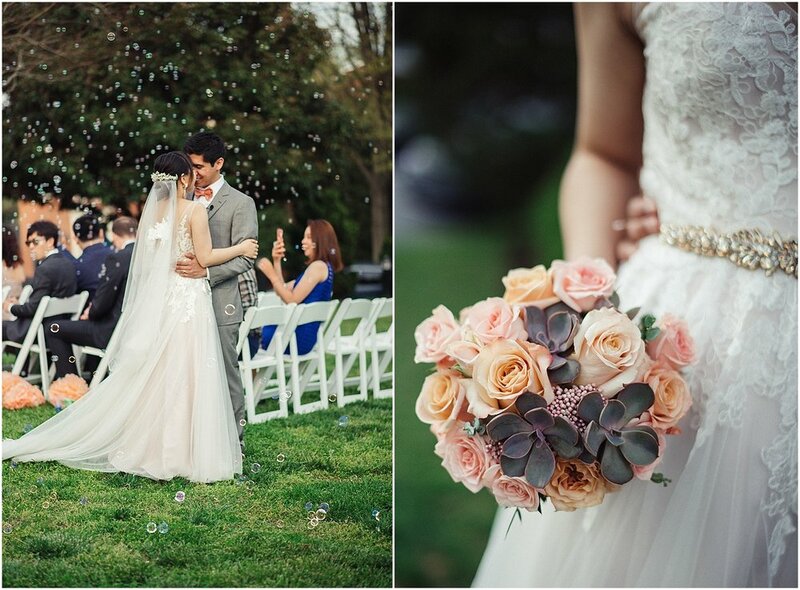 Congratulations to Y & K, who were married last April at Kentlands Mansion in Gaithersburg, Maryland! I photographed one of my first weddings ever at the mansion back in 2012, so their wedding brought back a sweep of nostalgia! K and Y met each other through mutual friends over hot pot and immediately connected. They would hang out and play video games together every opportunity they got. K’s proposal was also a super romantic one. When Y got home from work one day, she found a card with a bouquet of flowers. The card was written in their dog Genie's (golden doodle puppy) voice, which said, "I love you. Today, tomorrow and always, and Genie does too. Will you marry us?" Following their engagement session in Old Town Alexandria, Laurentina Photography had the honor of creating photos and a highlights video for their Cherry Blossom inspired spring wedding. Y & K chose a perfect and warm spring day to celebrate with their family and friends. 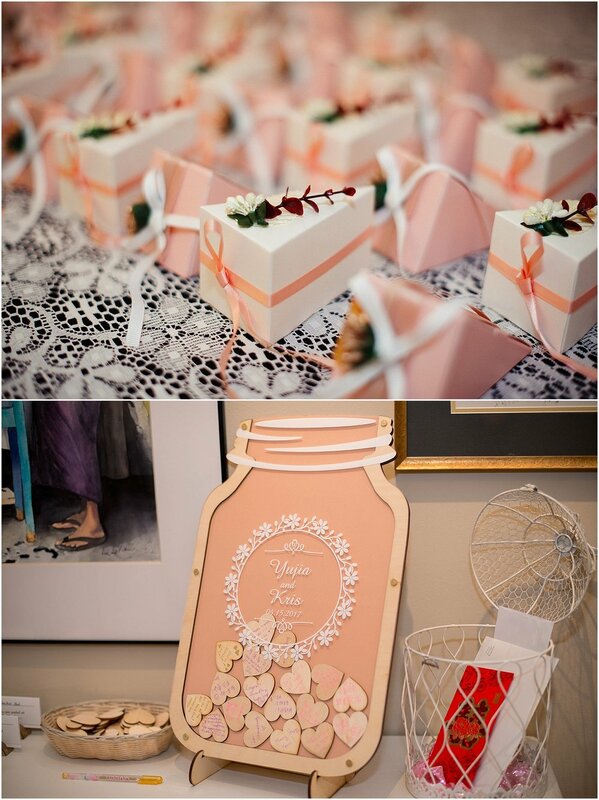 The decor was also very lovely, adorned with the curated wedding colors of pastel pink, straw, and glitter. A few of my favorite wedding highlights: their bubbles exit, the Soju Yogurt Cocktail (which was the official wedding drink) and watching their small group of treasured family and friends dance to the Macarena! Not to mention, that delicious pink fondant wedding cake, which happens to be a light and moist mocha green tea flavored cake from Chinatown in NYC! Asian foodie taste buds rejoice! Y & K: I wish you both a lifetime of endless love and happiness! 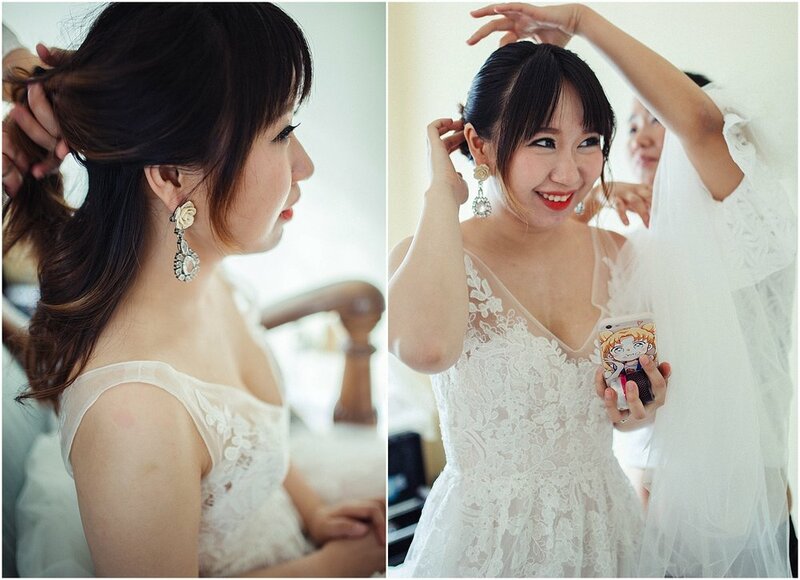 Thank you for letting me be a part of your intimate wedding day!